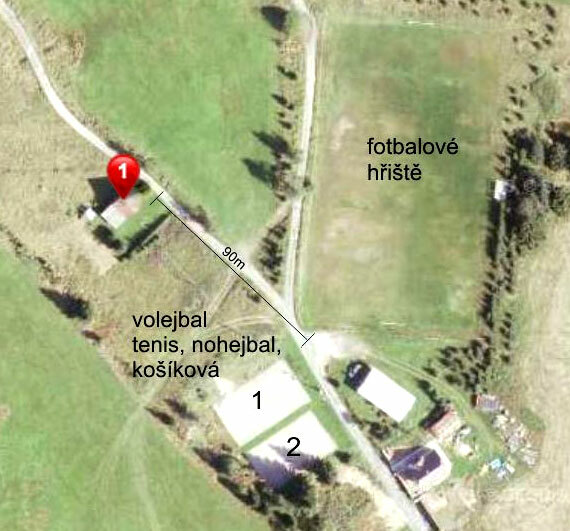 VVolleyball/basketball field close to the cottage (90 metres away). 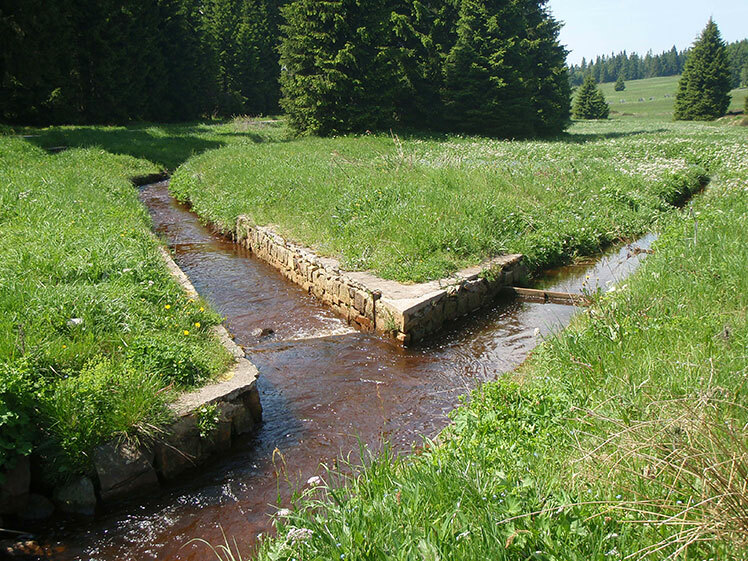 A noted technical relic, built up in 1540-1554; the artificial ditch that brought water from the river Černá at Boží Dar to the village of Horní Blatná. A relic of rapidly developing tin mines in the 16th century. Water was used for washing of extracted tin ore and also for mining machines. 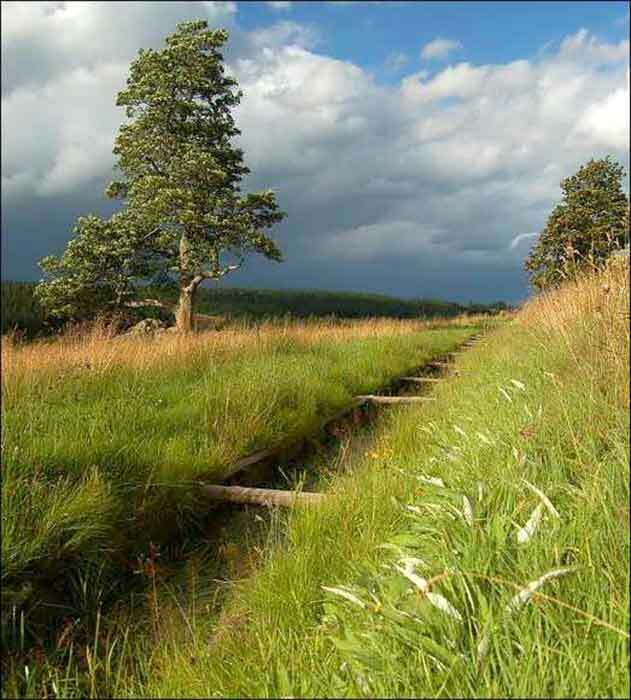 The ditch is 12 km long and approximately 2 metres wide. 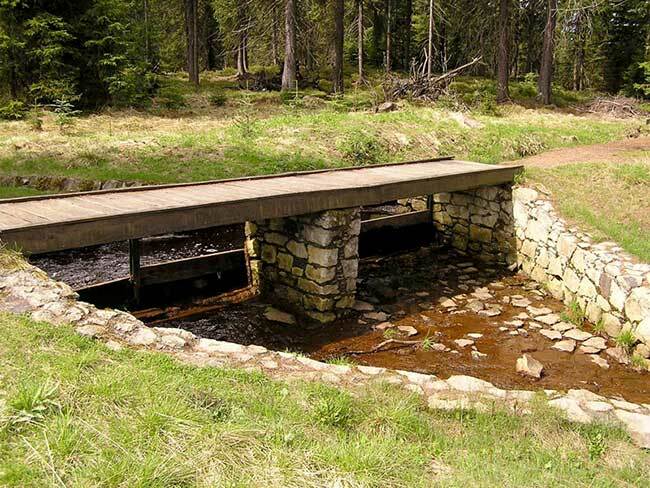 In 1995-2000 the fosse was completely reconstructed, and a beautiful hiking trail along the fosse was built up. 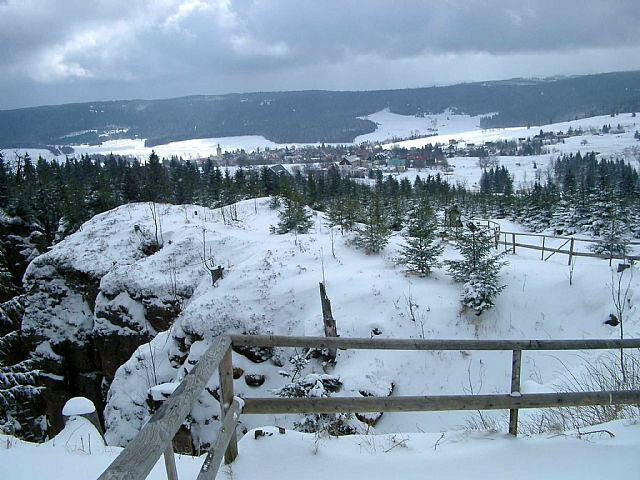 Located northeast of the village Horni Blatna; height of 1043 m above sea level. 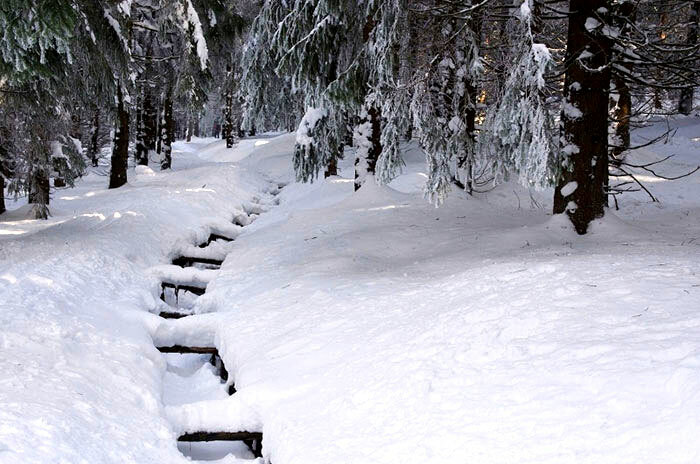 Nearby Wolf Pit (Vlci jama), Ice Pit (Ledova jama) protected as nature sights. At the top of the Blatensky Hill there is a wooden observation tower and a TV tower. What can be found on Google? Ice Pit is a 15 metres deep narrow ground depression, the rest of a mine Jiri, nowadays partly swamped by boulders and rocks. Due to its narrowness the air circulation is very slow in the pit causing a special temperature regime with never melting cave ice. 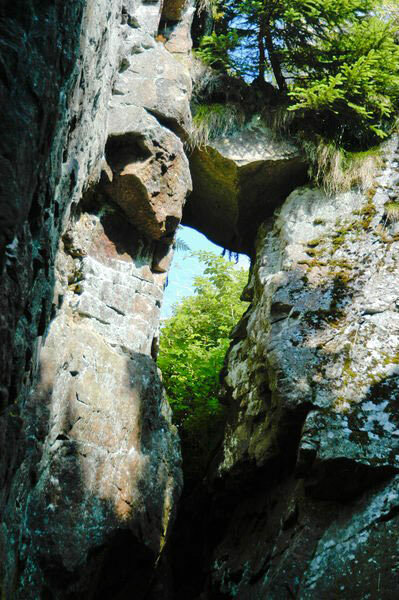 Ice Pit is a part of a local natural resort called Wolf Pit, a large rock gorge created by the depression of undermined terrain, in which rests of old ruined corridors and chambers are visible. The original mine Wolfgang was one of the largest and deepest (up to 85 m) mines in local mining area. © Copyright 2014 by Sports - Cottage at the Valasheks All Rights Reserved.